14 musicians, singers and dancers perform a mix of razor-sharp choreography, spoken word and stunning original live music. Starting with the Big Bang, the audience is taken on a unique journey through time. Home in Australia, choreographer Shaun Parker has reached a vast audience with his life-affirming performance AM I. Using an ancient fan and stick weaponry, he returns to the very beginning of time and creates a performance about the very essence of being human. AM I garners ideas from physics, astronomy, anthropology, and other sciences to tell the history of mankind. At the centre is the eternal question “Who am I?” The performance explores how we are affected by the people around us. Who would we be without everyone else? A search among the voices of Australia’s indigenous people leads to new world. Composer Nick Wales weaves a rich tapestry of musical traditions from around the globe, with rhythmic percussion intertwined with caressing tones from the Middle East and India. About Shaun Parker Company The Australia-based Shaun Parker & Company has quickly established itself on the international dance scene. 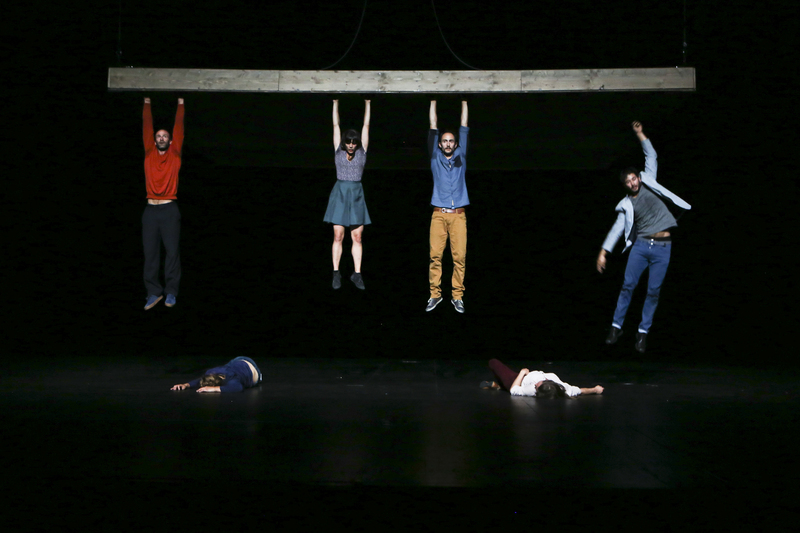 Their captivating eclectic dance theatre often addresses topics related to what it means to be human. They have racked up countless awards, including Australian Dance Award for The Yard and Argus Angel in Brighton for Trolleys for the Without Walls Consortium. With the support of This project has been assisted by the Australian Government’s Major Festivals Initiative, managed by the Australia Council its arts funding and advisory body, in association with the Confederation of Australian International Arts Festivals Inc., Sydney Festival, Adelaide Festival and Melbourne Festival.